The Platinum Card® from American Express (American Express is a CreditSesame.com advertiser) is one of the most prestigious rewards cards on the market today, in our opinion. It’s also one of the more expensive cards, as far as annual fees go. 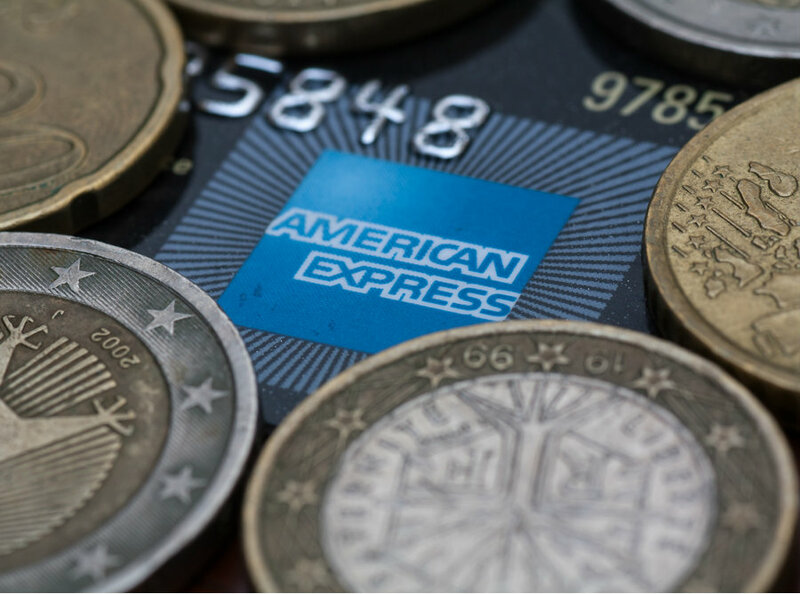 Are the American Express Platinum travel rewards worth the pricey annual fee? Let’s take a look at our analysis. You earn 5X Membership Rewards® points on flights booked directly with airlines or with American Express Travel. Earn 5X Membership Rewards points on prepaid hotels booked on amextravel.com. Additionally, take advantage of Uber VIP status and free rides in the U.S. up to $15 each month, plus a bonus $20 in December – that can be up to $200 in annual Uber savings. Get up to $100 in statement credits annually for purchases at Saks Fifth Avenue on your Platinum Card®. Enrollment required. Beyond that, this Card also offers a generous welcome bonus in which eligible new Card Members earn, 60,000 Membership Rewards® points after using your new Card to make $5,000 in purchases in your first 3 months. Quick Tip: For your application process your credit score and other factors are taken into consideration, keep in mind that your credit score by itself doesn’t guarantee approval for any credit card offer. Lenders, credit card issuers and other financial institutions use a variety of different types of credit scores as well as other criteria to make credit and lending decisions. See your free credit score on Credit Sesame. The Platinum Card® from American Express comes with a $550 annual fee, one of the higher annual fees on the market today. Also, keep in mind that The Platinum Card® from American Express is a charge card, not a credit card, which means you pay your balance in full each billing cycle when you receive your statement. Be sure to read the terms of the offer on the American Express website for information regarding rates, fees, payment, and other cost information. In addition to the rewards program, The Platinum Card® from American Express offers travel benefits. This is a way to travel in style. Access the Global Lounge Collection, the only credit card airport lounge access program that includes proprietary lounge locations around the world. Amenities, services and hours of operation may vary among locations and are subject to change. Another benefit is a $200 Airline Fee Credit, up to $200 per calendar year per calendar year in baggage fees and more at one qualifying airline. Examples of expenses include checked bag fees, in-flight refreshments and other eligible incidental fees charged to your Platinum Card® from American Express by your one pre-selected qualifying airline. The airline fee credit is one of this card’s many nice perks that can make traveling more pleasant. The Platinum Card® from American Express doesn’t charge a foreign transaction fee, which is useful if you travel outside the country. So, no matter where you’re traveling, when you use The Platinum Card® from American Express there are no foreign transaction fees from American Express. As a Card Member of The Platinum Card® from American Express you can receive complimentary benefits with an average total value of $550 with Fine Hotels & Resorts. You can take advantage of benefits at participating hotels and resorts, such as late checkout, free room upgrades (when available and if room category is eligible for upgrade). Actual value will vary based on property, room rate, upgrade availability, and use of benefits. Learn more about these complimentary benefits on the American Express website. We imagine it may not be easy to qualify for an elite card such as The Platinum Card® from American Express. You would generally need good to excellent credit for starters, as well as other factors, to be considered for this card. The higher your score, the better your chance to qualify, however a quick reminder your credit score alone doesn’t guarantee you’ll qualify for any credit card offer. Credit card issuers use a variety of different types of credit scores and other criteria to make their decisions. Keep in mind the credit scoring model may vary depending on the credit card issuer. With The Platinum Card® from American Express, you can get access to perks and benefits, but you also pay a lot as far as the annual fee. To justify the $550 annual fee, you’d need to use the benefits to the greatest extent possible. If you travel frequently, especially overseas, The Platinum Card® from American Express might be worth a closer look. For example if one day at an airport lounge costs approximately $50 to $100, you could potentially make up the annual fee in just a few airline trips if you make use of and access a participating airport lounge. Frequent travelers most likely will have no trouble using up the $200 Airline Fee Credit, up to $200 per calendar year in baggage fees and more at one qualifying airline. These two features alone could help outweigh the annual fee. If you don’t think you’d take advantage of all The Platinum Card® from American Express travel benefits, there are more affordable alternatives. They probably don’t come with all the perks and benefits, such as lounge access, but the annual fee may be considerably less. For example, another solid card for frequent travelers to consider is the Chase Sapphire Preferred® credit card. It has an annual fee of $95, you earn 2X points on travel and dining at restaurants plus, earn 1 point per dollar spent on all other purchases and the card has no foreign transaction fees. However, the Chase Sapphire Preferred® credit card doesn’t offer perks like lounge access, the airline fee credit or concierge service. When it comes to prestige, we have to say, you can’t beat The Platinum Card® from American Express. Whether that and the generous travel perks are worth the $550 annual fee is up to you. Independent Review Disclosure: All the information about the Chase Sapphire Preferred® credit card, and The Platinum Card® from American Express has been collected independently by CreditSesame.com and has not been reviewed or provided by the issuers of these cards. The Chase Sapphire Preferred® credit card and The Platinum Card® from American Express are not available through CreditSesame.com.